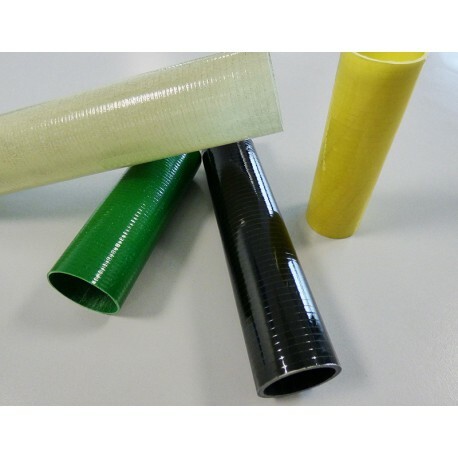 Glass fiber tube produced with wrapping process. Natural color or 4 main colors using colored fabrics. Insulated tube with a good flexural strenght. Grinded surface is possible on big quantities (better tolerance): post treatment like painting or varnishing.